Successfully Added HK Warehouse Gretel A9 Android Phone - 4G, Dual SIM, 5 Inch Screen, Quad Core CPU, 2GB RAM, Android 6.0, Fingerprint (Gold) to your Shopping Cart. The Gretel A9 budget friendly 4G Smartphone with Android 6.0 OS is the best smartphone for those on a budget. The super slim matte gold body of this phone has a metallic look and with its 2.5D curved glass screen, the Gretal A9 smartphone looks every bit the premium handset. Comfortable to hold and resistant to greasy fingerprints this Android smartphone has a precision finish, which is pleasantly surprising given its affordable price tag. A 5-inch screen with 720P display brings bright and vibrant colors that let you enjoy movies and games anywhere you go. It's also an ideal size for one handed operation. With 16GB of built-in memory and a micro SD slot allowing for up to 32GB extra storage, there is no shortage of space for games and movies galore. When it comes to performance this A9 mobile phone is well equipped with an MT6737 quad-core CPU and 2GB RAM it can easily support games and media. All this is managed by the Android 6.0 OS that presents a beautifully intuitive UI to which ensures smooth multitasking and great access to apps, games, and media. Thanks to the 4G support you can even stream HD content on the go so there won't be a dull moment on your commute to work. Dual SIM support brings the added advantage of greater network coverage so you can always keep connected and avoid roaming charges. Alternatively, run the phone with two SIM cards to effectively manage all your business and personal contacts on the one device. An awesome 8MP rear camera that brings 13MP images when interpolated lets you snap premium pictures and video so you can capture the minute details in spectacular quality. With a built-in 2300mAh battery, you'll get respectable usage times that will see you through the day without needing to recharge. 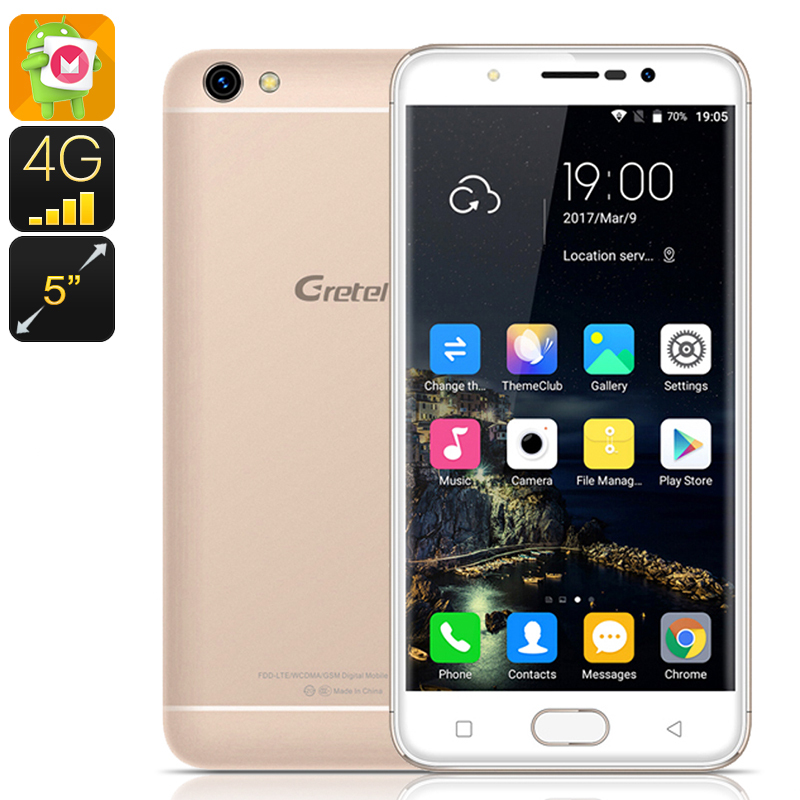 The Gretel A9 Android phone product comes with 12 months warranty, brought to you by the leader in electronic devices as well as wholesale Android phones and mobile phone accessories..